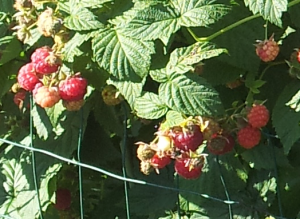 Growing beautiful organic raspberries with no chemicals can be challenging. Virtually anywhere in the eastern 2/3 of the USA where raspberries are grown is plagued by Japanese beetles. 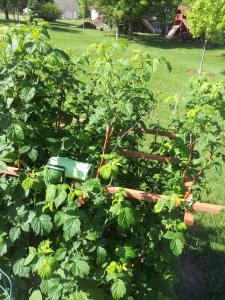 This article gives an easy way to build a shakable trellis that keeps the raspberry patch neat and clean and drastically cuts down on beetles, producing a beautiful harvest. Locate Black UV resistant cable ties. Home depot carries Commercial Electric’s Model #295858, which is a package of 100 black 11-inch ties, in the electrical area of the store. 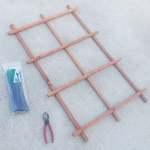 Get a lightweight trellis or a series of ¼-inch wood stakes. The trellis linked to was 24×72 inches. 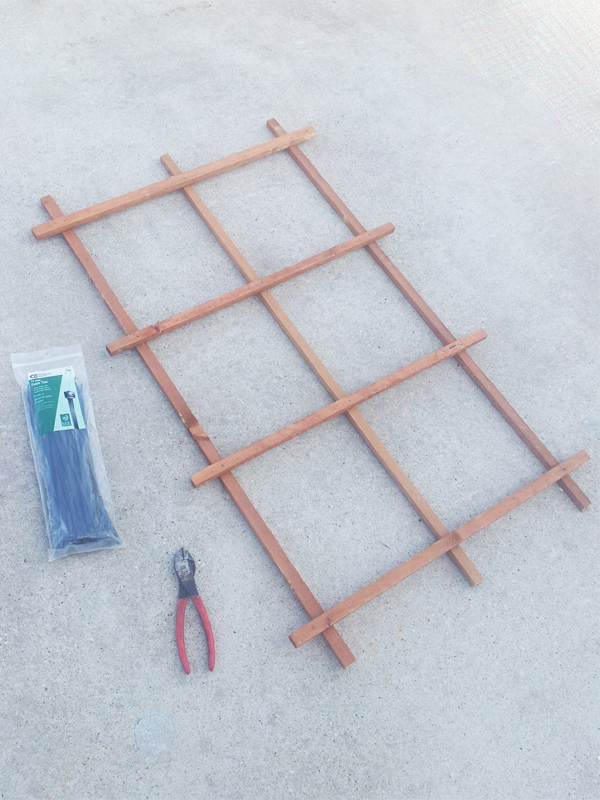 Cut the trellis to the desired size or if using stakes, strap together as shown using the wire ties. This trellis was cut to about 36 inches. 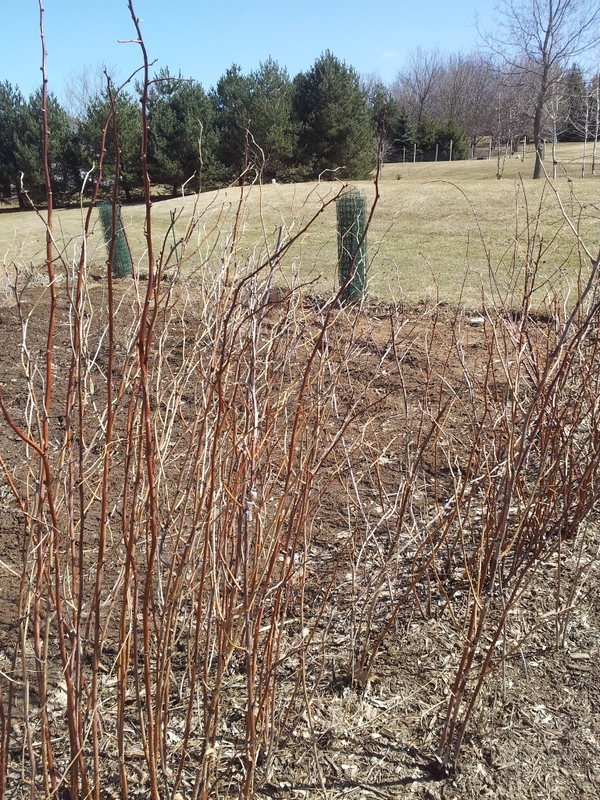 Trim out old raspberry canes. See images below for more information. Cut the remaining canes to equal heights. Using your cable ties, tie the trellis to the canes tightly. Be careful not to break the canes. Note that the canes of most raspberries will support the weight. 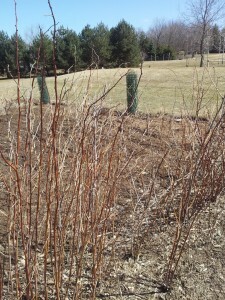 If the canes cannot support the weight of the trellis, use a mounting stake for the trellis. 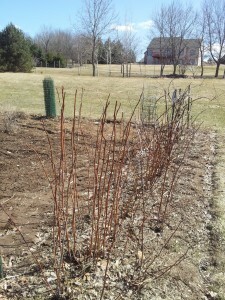 Trellis attached horizontally across the tops of the raspberries. You can also do this after the raspberries are grown. As new canes come up, tie those tightly too. Once leaves start to fill in, attach one or two BugVibes™ (two for a larger trellis). Periodically (about once a week) shake raspberries, as BugVibes™ vibrates most (but not all) leaves. 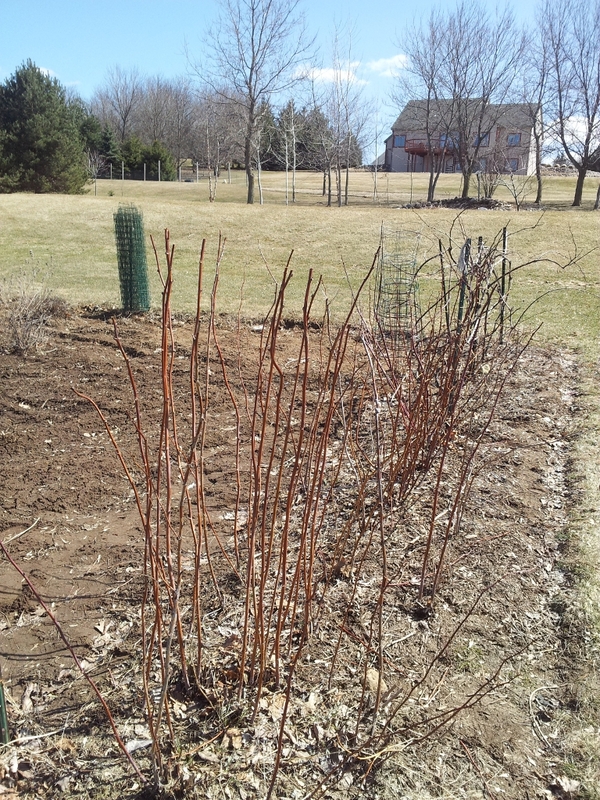 During the season, you will have a beautiful, clean patch of raspberries with minimal pests. BugVibes™ is strapped to the trellis before beetles arrive.